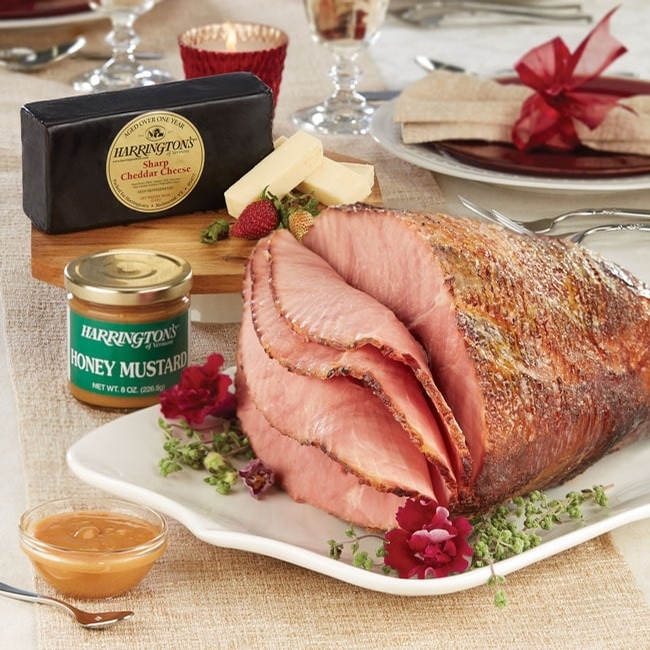 This wonderful gift combination features our acclaimed Corn Cob Smoked Spiral-sliced Party Ham (6-7 lbs.) - maple sugar glazed, fully cooked and full of Harrington's famous smokehouse flavor. A 1 lb. waxed brick of our Specially Aged Cheddar, carefully aged for an exceptional taste, and our exclusive tangy Honey Mustard (one 8 oz. jar) round out this customer favorite assortment. A gift that is sure to be well received.